Sat, Apr 20, 2019, 20:58:02 ---- The fact: 42.844.000 visitors done. 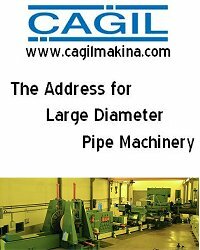 The new web site is easily navigated around the core product lines of; strip accumulators, coil end joiners, coil handling equipment, tube handling/manipulating equipment, and tube mill consumables. The users is easily directed through the site and can request information from almost any area. The tube mill consumable portion of the site allows the user to quickly inquire about pricing on any item.